Winx Club: Saving Alfea is a new game brought to you by the partnership of development house 1st Playable Productions and the publishing house Little Orbit. The game was released in November 2014 and is set to make a big splash in the world of gaming, especially on the Nintendo 3DS. Winx Club: Saving Alfea is an action adventure game that also incorporate puzzles and challenges into it as well, so players certainly won’t be left twiddling their thumbs, except on a couple of the game modes which literally do require thumb twiddling. The overarching storyline is the girls trying to throw the perfect party, and to do so they must jump, run and fly through the worlds they live in so that they can gather the finishing touches to make the schools anniversary party the best one yet. However, the journey isn’t just a case of collecting flowers and bunting as one of the girl’s old friends, Selina, has used her Siphonix talisman to unleash a hoard of evil creatures from the legendarium. 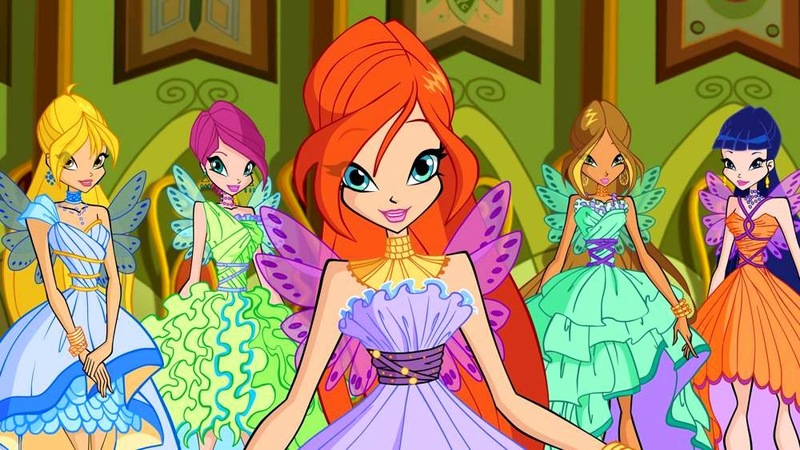 It is down to the Winx to fight these monsters and ultimately find out how to destroy the all powerful talisman to prevent this happening again, while at the same time making sure the party is a roaring success. It’s certainly an odd narrative and potentially a tad insulting to the female race, what with the world coming to an incomprehensible end but there still needs to be a party planning meeting, but the developers thoughts are in the right place. Players can play as Bloom, Flora, Stella, Tecna, Aisha and Musa in both their human and fairy forms to gather the party essentials and also to battle Selina’s monsters and overcome the dark magic and the characters all need to work together as a team in order to complete the game, forcing players to use a variety of different characters, improving the game experience all round. There are 32 unique side scrolling levels that are all re-playable, meaning players can go back and try and complete a level to a higher standard than before, competing against themselves. Obviously, the graphics and visuals in this game are fantastic, as would be expected from 1st Playable productions, and the game runs incredibly sleekly, utilizing both screens on the Nintendo 3DS and the 3D functionality seamlessly. All in all, Winx Club: Saving Alfea, is an incredibly absorbing game with a decent storyline that manages to hook players in straight from the start. There is a plethora of different game modes to try and lots of different characters to use throughout. The graphics are visually stunning, as are the sound effects by the way, and the game feels as though it has been very cleverly thought out, from launching it to switching it off.